‘High 5’ – with Mazda’s all-new CX-5. Mazda’s multi award-winning CX-5 SUV has now entered its second generation at a time when competition within this rapidly growing market segment has never been so fierce. 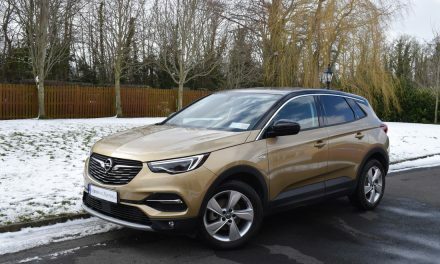 Recent entrants into the large SUV market include the Peugeot 3008, SEAT Ateca and Skoda Kodiaq, while established rivals include the likes of the Kia Sportage, Hyundai Tucson, VW Tiguan and Toyota Rav4. 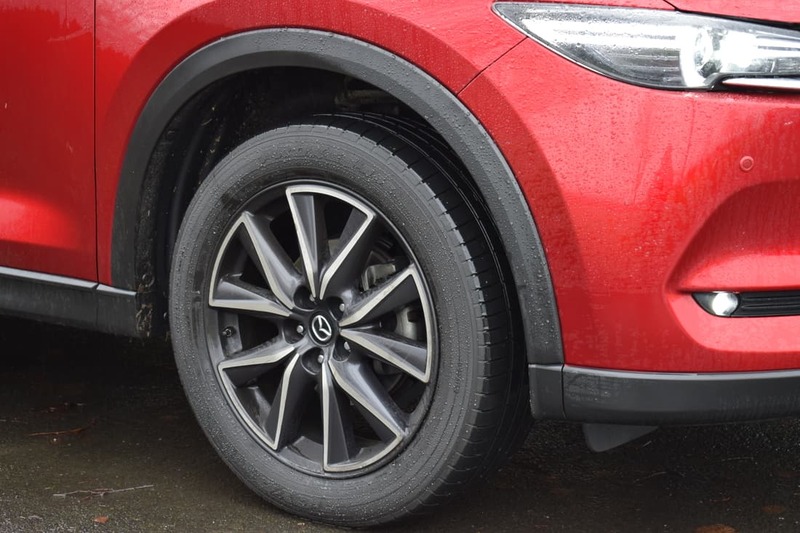 Thankfully, the all-new Mazda CX-5 has retained and improved on its ‘unique selling point’ of being the SUV of choice for keen drivers. It handles better than ever, but most importantly, comfort and refinement is at another level to the outgoing car. 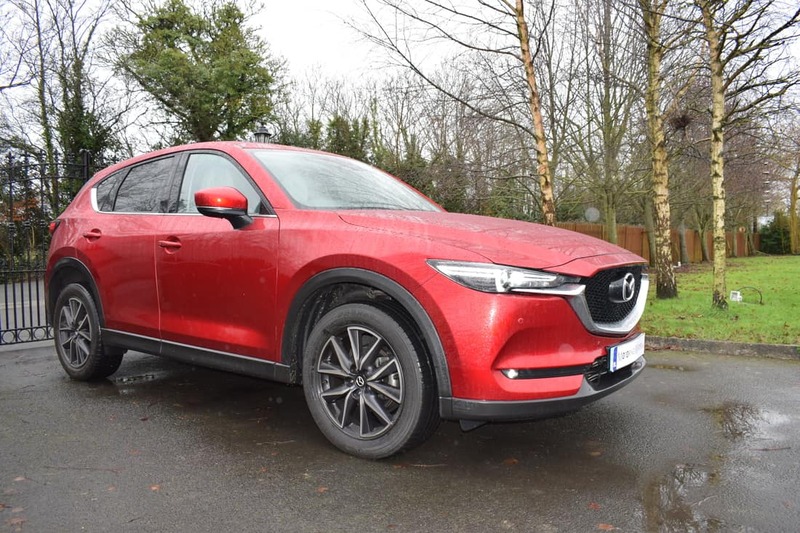 Coming to the market with latest-technology ‘SKYCTIV’ petrol and diesel engines, an upmarket interior and a long list of standard features, the new CX-5 is sure to build on the relentless success of its predecessor. 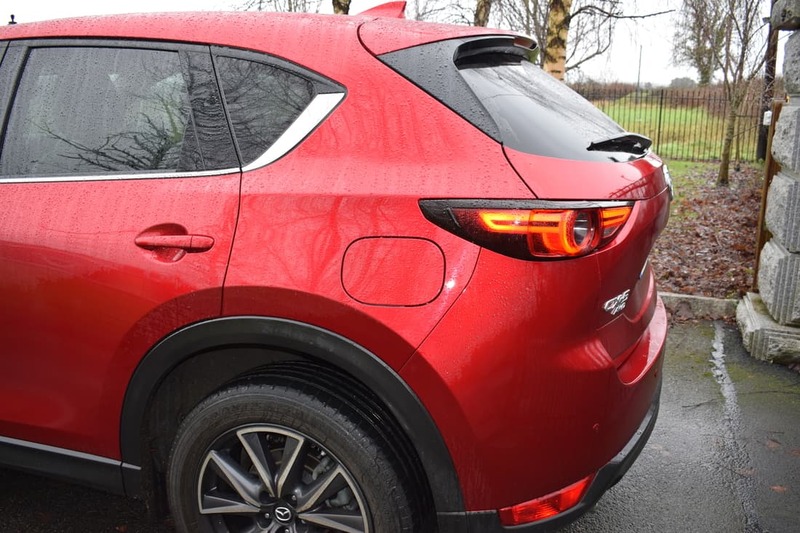 Mazda’s designers have given the new CX-5 a sharp and purposeful new look, while still retaining the form and function of the original model. 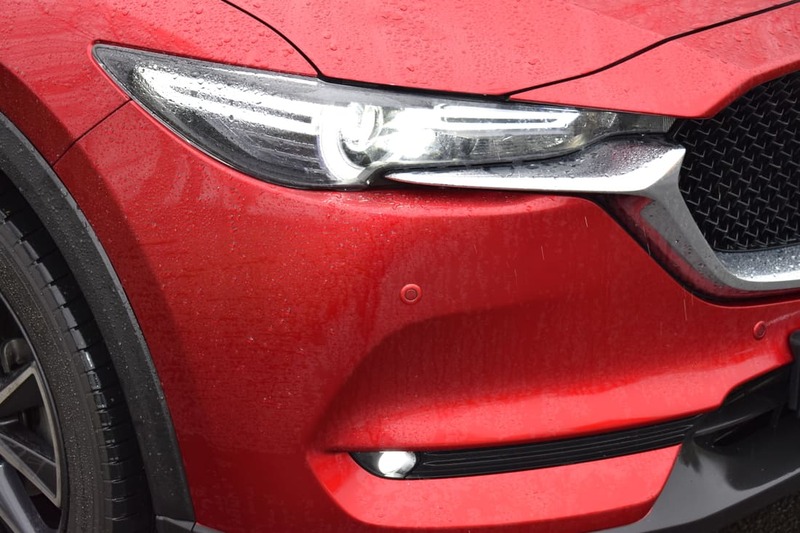 Most noticeable design features at the front of the new CX-5 include a shark-like grille and slim headlights, which give the new car a more distinctive and confident appearance. Although it’s a little shorter than its predecessor, it looks sleeker. 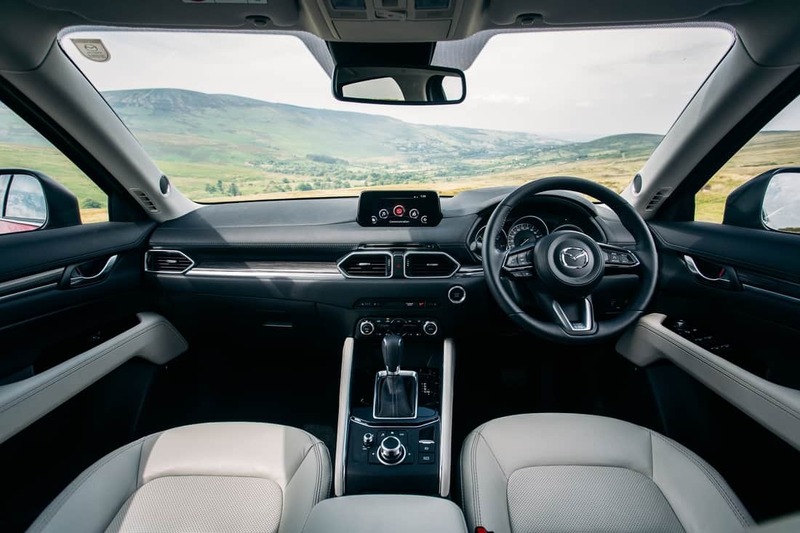 With the new CX-5, Mazda have created one of the best-looking SUV’s on the market, but have not forgotten to do likewise with the interior. 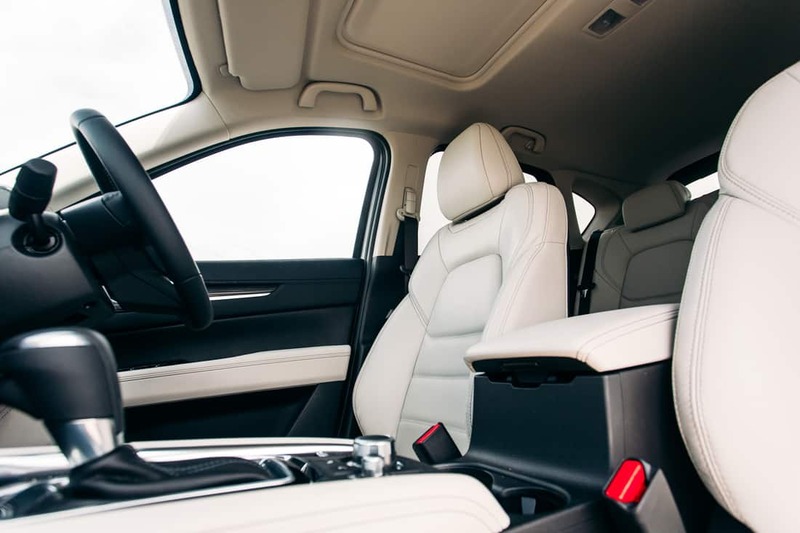 The cabin of the new CX-5 has been remodeled and feels very much improved thanks to Mazda’s use of higher-grade materials. 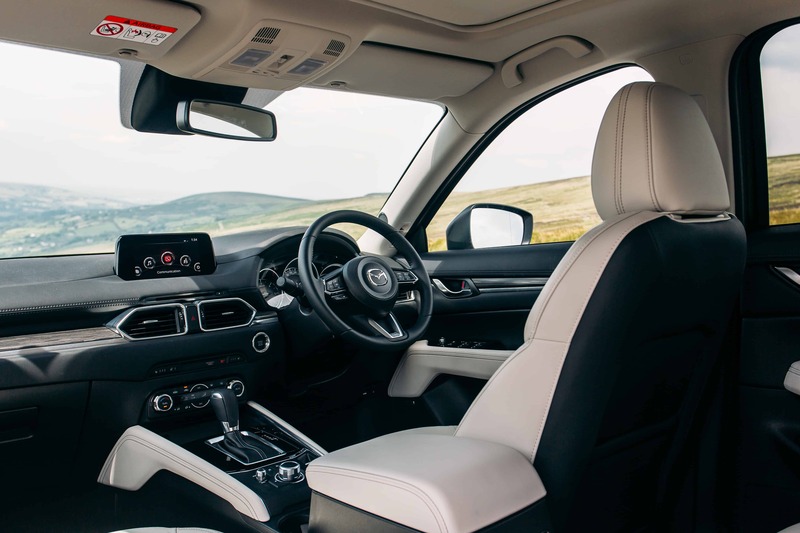 Generous amounts of ‘chrome highlights’ within the cabin convey a real sense of quality and makes the inside of the new CX-5 a really pleasant place to be, while the inclusion of new sound-deadening material adds to the overall serenity. 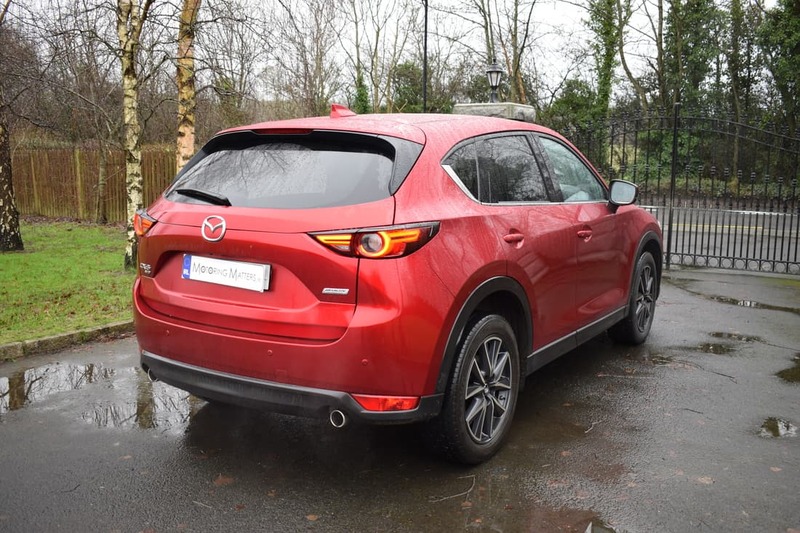 The original Mazda CX-5 (launched in 2012) was the first Mazda to feature the company’s innovative fuel-saving SKYACTIV technologies in powertrains, transmissions, chassis and body. Completely rethinking traditional engineering to create SKYACTIV enabled Mazda to defy convention and produce a remarkably efficient new SUV, which retained the fun-to-drive qualities that are an essential ingredient of the Japanese brand. 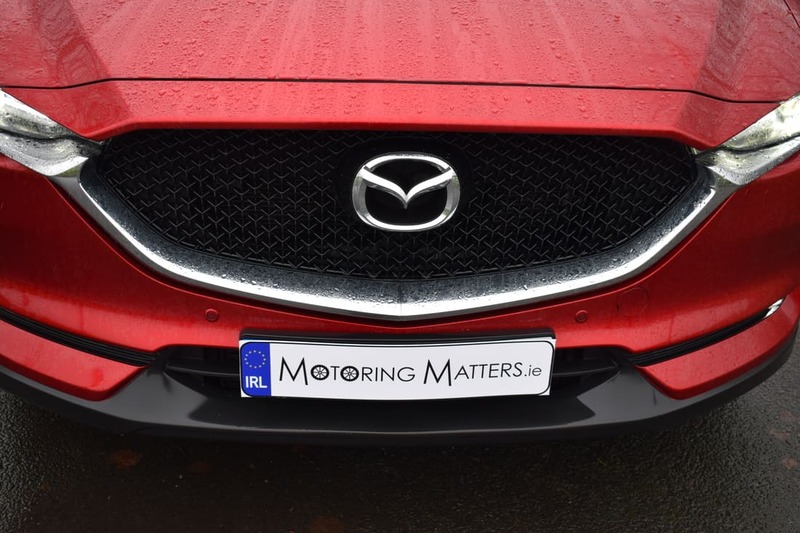 Since then, Mazda’s SKYACTIV engines, transmissions, chassis and body technologies have been progressively introduced across the Mazda range as other new models were launched. 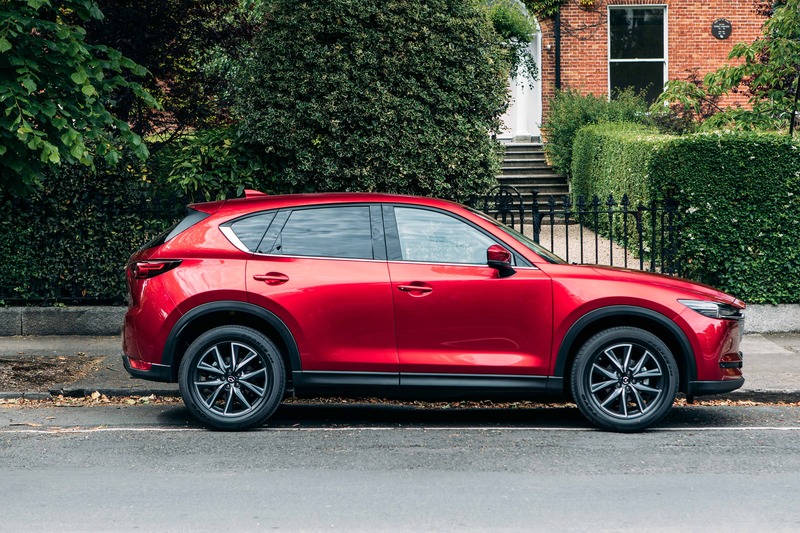 Mazda’s new CX-5 is available in 5 trim levels – Executive, Executive SE, Executive SE with Leather Pack, Platinum and Platinum SR – with every model equipped with a generous list of standard safety, comfort, convenience and security features. Engines comprise of a 2.0-litre SKYACTIV-G (petrol) with 165bhp or a 2.2-litre SKYACTIV-D (diesel) with either 150bhp or 175bhp. 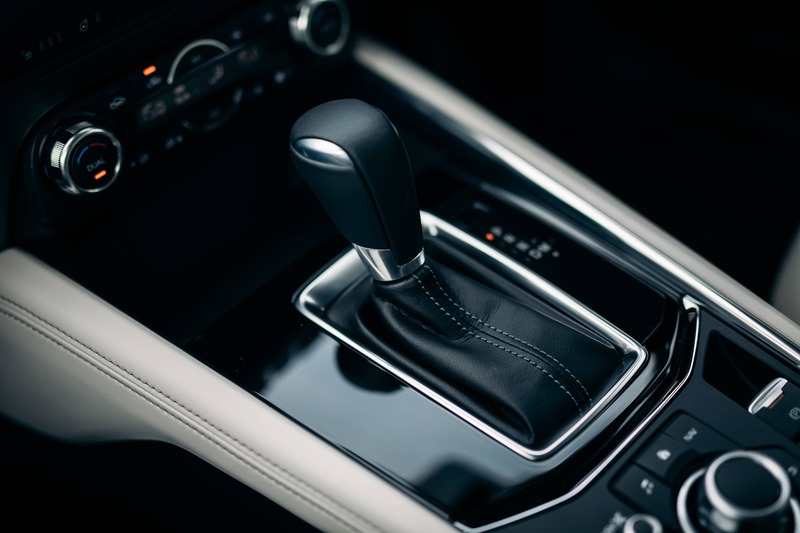 A six-speed automatic gearbox is available with the SKYACTIV-D engine, while 4WD is available in combination with the diesel engine too. 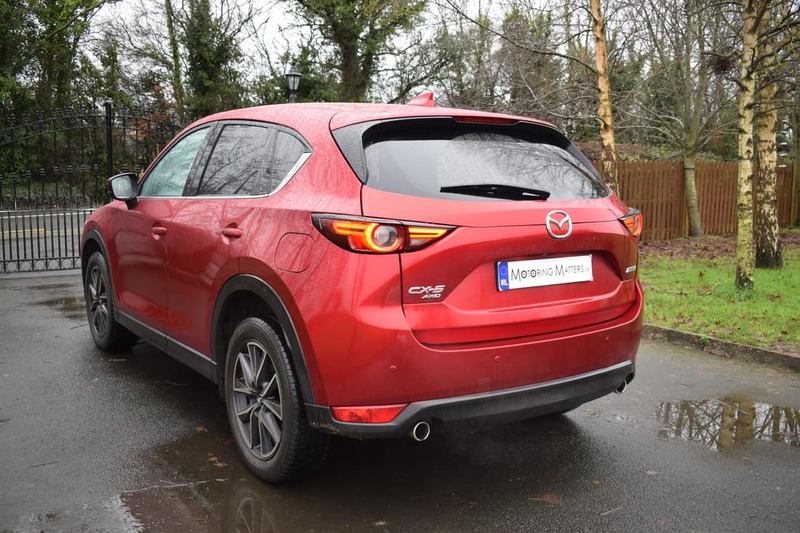 My test car was a range-topping Mazda CX-5 Platinum SR, 2.2-litre SKYACTIV-D (Diesel) 175bhp, 4WD Automatic finished in stunning Soul Red Crystal metallic paint for maximum impact. 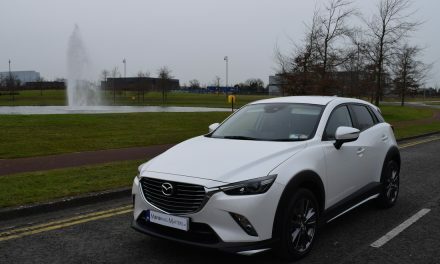 Annual road tax for this model is €390, while Mazda claim fuel consumption as low as 5.3l/100km is possible on an extra-urban driving cycle. The 0-100km/h sprint can be completed in just 9.5 seconds, while a top speed of 206km/h is possible (where permitted). 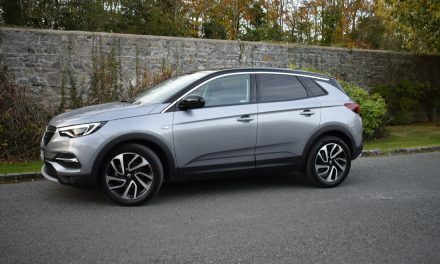 Standard specification in my test car included Bluetooth, Mazda MZD Connect, digital radio, dual-zone climate control, leather multi-function steering wheel, LED daytime running lights, LED headlights and front fog-lights, cruise control, alarm, immobilizer, auto-folding heated exterior door mirrors, remote central locking, 7” colour touchscreen with Multimedia Commander, CD player, 4 USB ports, Aux input, MP3 compatibility, dynamic stability control, BOSE sound system with 10 speakers, full leather interior, front & rear parking sensors, reversing camera, power/heated front seats, heated steering wheel, Smart Key entry, Smart City Brake Support, 19” alloy wheels, ABS, EBA, EBD, tyre pressure monitoring system, multiple airbags, ISOFIX brackets, privacy glass, reclining rear seat with centre armrest, hill hold assist, rain sensing wipers, electronic handbrake, integrated satellite navigation, engine start & stop button, traffic sign recognition, humidity sensor, auto opening/closing rear tailgate, wiper de-icer and many other convenience features. 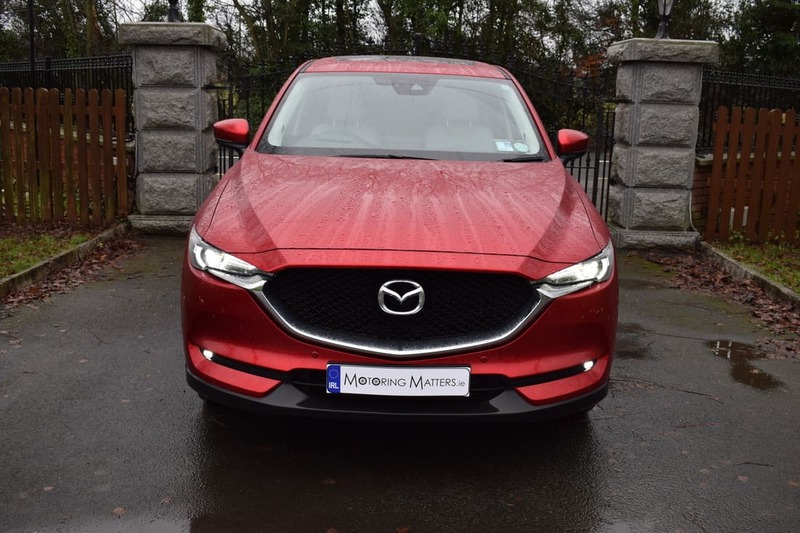 Prices for the new Mazda CX-5 range start at just €28,995, while my extremely well equipped test car is priced at €41,695 (including metallic paint). Designed and built to celebrate driving, the all-new Mazda CX-5 gives everyone on board a powerful feeling of ‘Jinba Ittai’ (Drive Together) – that great bond and feeling of oneness with the car. 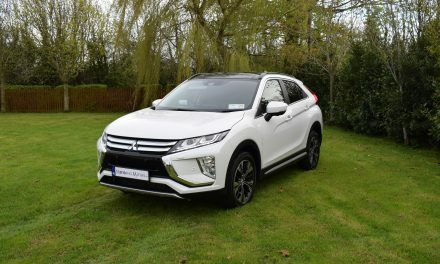 As an all-round family SUV that is impressively agile, supremely comfortable and technology-laden, it is an excellent package indeed. Mazda’s 3-year (100,000km) warranty comes as standard. The all-new Mazda CX-5 gets a well-deserved ‘High 5’ from me.